3 Set of Emery Boards & a Free Coin Purse All for 20p!! Add 3 sets of emery boards to your basket and the coin purse will be added automatically all for 20p as it’s 3 for 2on the emery boards! 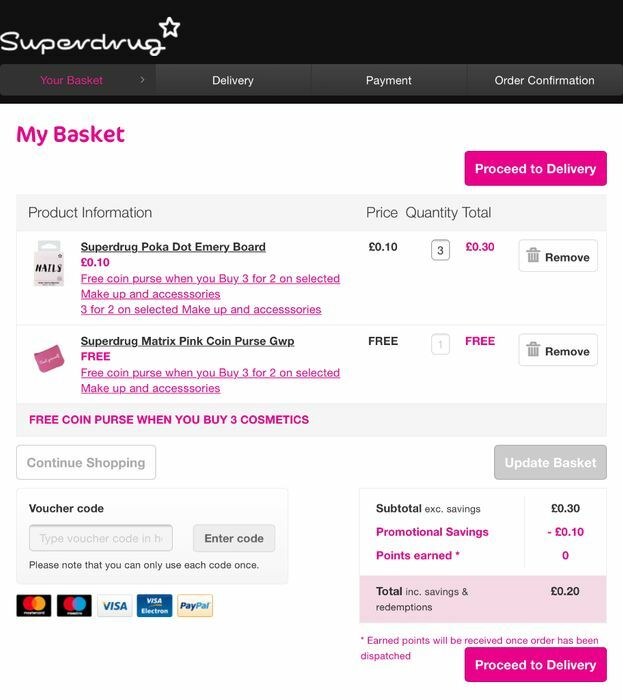 We have 3,809 Superdrug deals and 60 Superdrug discount codes on Latest Deals.